If politicians will no longer honor an oath of office – ignore it or abolish it, and keep the congressmen! Oath-taking by newly elected members of Congress continues a constitutional rite that is as old as the Republic. 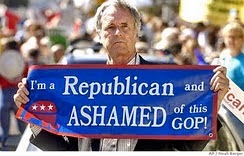 While this practice dates from a simple 14-word statement enacted by the First Congress in 1789, the current oath is a product of the 1860s—drafted by Civil War-era members of Congress intent on ensnaring traitors. The original oath served nicely for nearly three-quarters of a century. By 1861, however, the outbreak of the Civil War gave particular urgency to the previously routine act of oath-taking. At a time of uncertain and shifting loyalties, President Abraham Lincoln ordered all federal civilian personnel within the executive branch to take an expanded oath. By 1862, members of Congress who believed the Union had more to fear from northern traitors than southern soldiers enacted the so-called Ironclad Test Oath. Added to the first oath, this text required civil servants and military officers to swear not only to future loyalty but also to affirm that they had never previously engaged in disloyal conduct. Although Congress did not initially extend the 1862 Test Oath to its own members, many took it voluntarily. Angered by those senators such as Delaware Democrat James A. Bayard who refused this symbolic act, Massachusetts Republican Charles Sumner engineered a January 25, 1864, rules change making the Test Oath mandatory for all senators. Senator Bayard contended that the Test Oath ignored the president's pardoning power. Looking ahead to the postwar era, he warned that the Test Oath would block any southern senator-elect who arrived in the Senate with a presidential pardon and a certificate of election. If he took the oath, swearing no past disloyalty to the Union, he would perjure himself; if he refused the oath, he would not be seated. The Delaware senator also feared that this oath set a dangerous precedent, as future congresses could add other limiting requirements related to past behavior, requiring, for instance, that senators swear to their temperance, chastity, and monogamy. 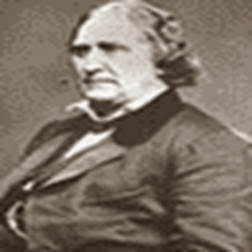 Bayard took the oath on January 29, 1864, and then immediately resigned in protest. In 1868, Congress exempted southerners from the Test Oath by creating an alternate vow, the language of which was nearly identical to today's pledge. Northerners angrily pointed to the new law's unfair double standard of requiring loyal Unionists to take the harsh Test Oath while ex-Confederates were offered the less-demanding 1868 version. Finally, in 1884, a new generation of lawmakers quietly repealed the deeply inflaming wartime oath. 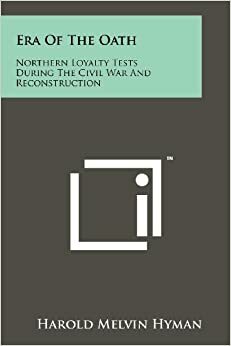 Hyman, Harold M. Era of the Oath: Northern Loyalty Tests during the Civil War and Reconstruction. Philadelphia: University of Pennsylvania, 1954.